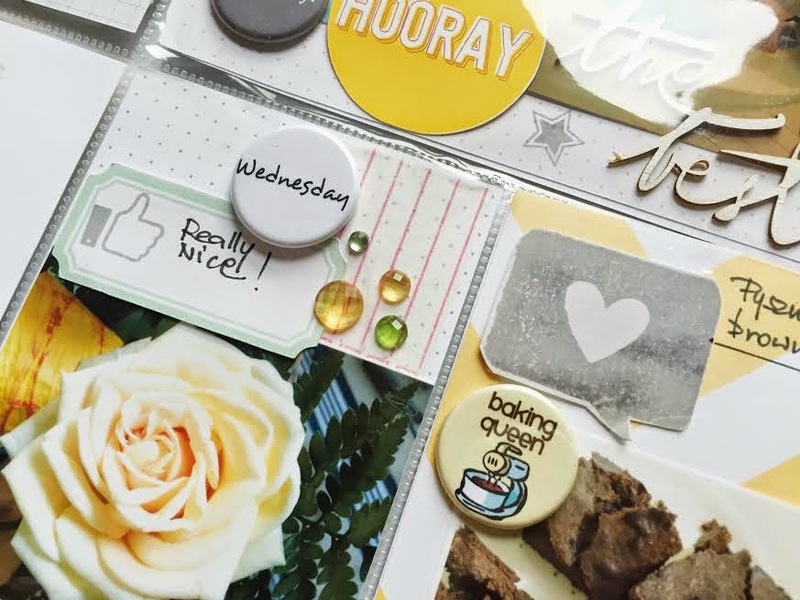 Today designer, Mona, is sharing her project life pages with us once again. 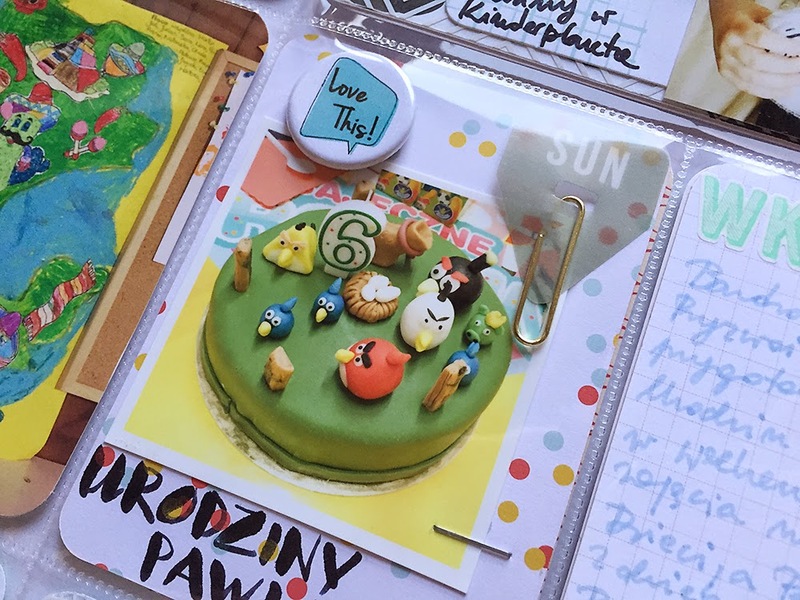 Take a look at her use of TCP Flair within her project life! As I said, I will show you my last pages from 2014. This is the last one – week 52. I used Studio Calico cards form Pl kits, some old embellishments from Sc kits and of course flairs from The Crafty Pickle. Take a look how great they are! Thank you so much for sharing, Mona. 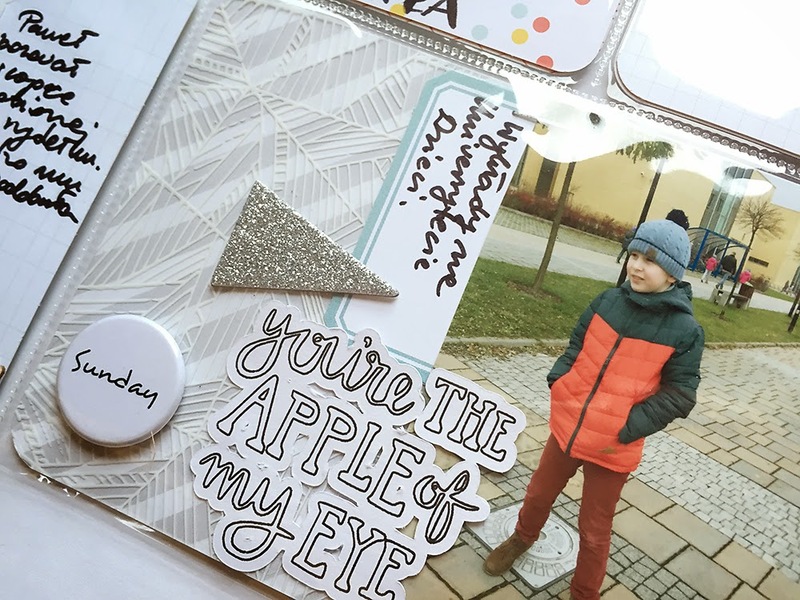 As always, LOVE your Project Life pages! 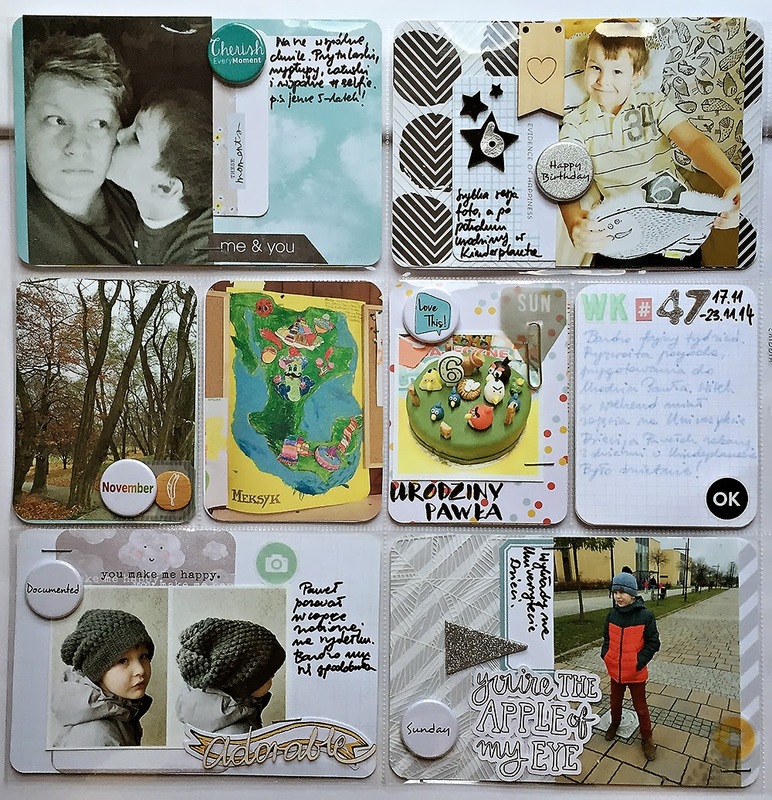 Today we have another fabulous project life spread with Mona. Take a look! I’m back here with one of the last 3 pages of 2014 from my Project Life album. Who else is still in previous year with PL? But I’m back on track again, so my new pages will show up here soon. 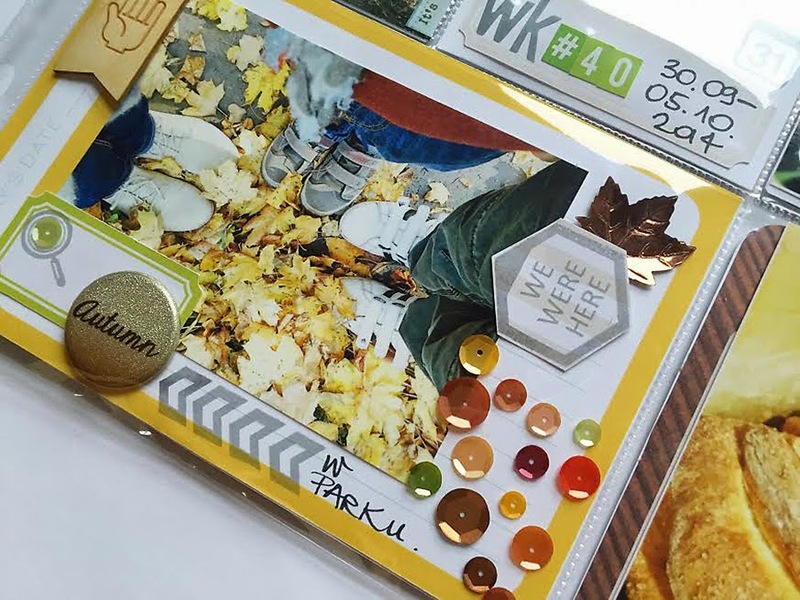 For this spread I used Studio Calico cards from last 2 Pl kits, some embellishments as weel, but the most important are flairs from The Crafty Pickle, which I like so much. This is kind of embellishment, which fits everywhere, in every PL page. At the end of this post, you can find links for flairs I used. TFL! Do you like badges / flairs? How do you like to use them? I’m curious if anybody likes to use them on PL pages, as much as I do. Thanks for sharing Mona! I always love your Project life pages! 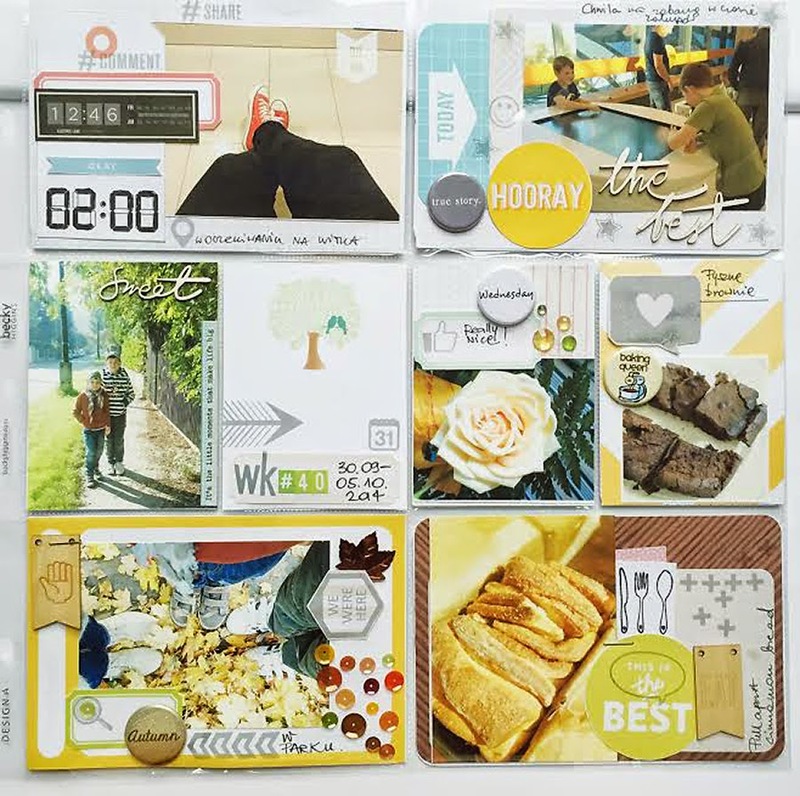 Have you all started your Project life albums for 2015? I still have the holidays to finish up before I dive into a new album. 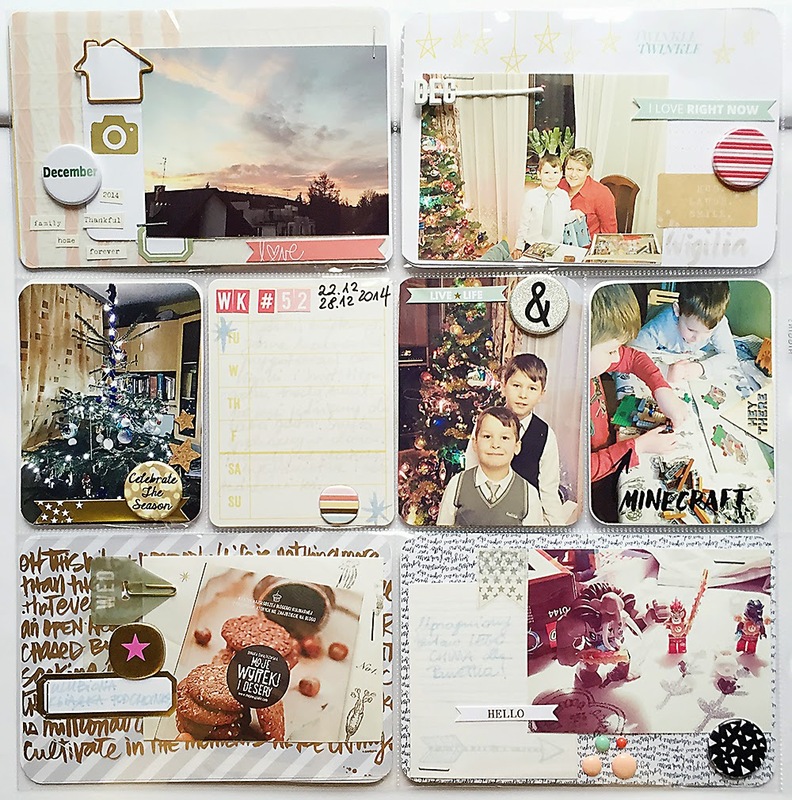 Designer, Mona, is finishing up her 2014 with this awesome page she has to share today. Take a look! I’m still big fan of The Crafty Pickle Badges. I love to use them in my PL pages. I made week47 using some of them. I love especially the glitter one, with Happy Birthday words. I also used speach buble and others ( I’m listing them at the end of my post). Here is my PL page. TFL! Thanks so much for sharing today, Mona. I love your page and your little boy is just adorable! I’m back with two more talented ladies today! You can find Mona’s blog HERE. My name is Monika but everyone call me Mona. I’m a mom to 2 boys ( 9 & 6 ), I’m an engineer who loves to scrap, taking photos and cook. I live in Poland in beautiful city – Cracow. I’ve been scrapping since 2006, when My older boy was 1 and I wanted to make him an birthday album. I love to make layouts and mini albums, but since 2013 I’m in love with PL too. 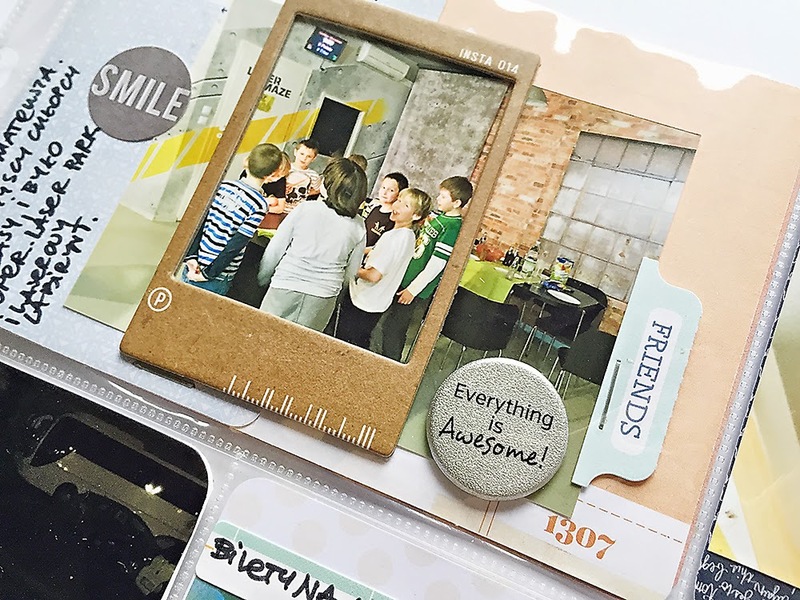 For me scrapbooking is a fun hobby , but also a kind of therapy when I need this. 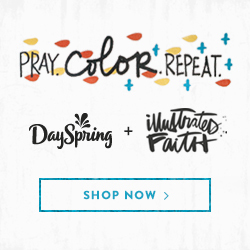 I love misting, sewing and layering, and I’m a fan of white space. 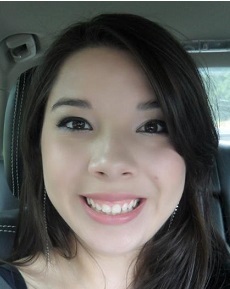 My name is Joann Lopez. I am a wife of 7 years to a wonderful man and a mother to 2 little ones, a 4 year old boy and a 10 month baby girl. I found my love for paper crafts when my husband bought me my first cricut. It was our 1 year anniversary (gift idea was paper for 1st year of marriage) and he totally surprised me with it (super thoughtful). Since then I have been addicted to cricut everything and anything. I was a CTMH consultant about a 2 years ago. I am new to using flair but really enjoying it. I can’t wait to share these girls talent with you all!